One of my favorite childhood memories is creamy fruit salads made with various combinations of grapes, cherries, mandarin oranges, pineapple, or apples, sometimes with crunchy nuts mixed in. The creamy part also varied, often made with sour cream and cream cheese or whipped topping, but all were sweet and sometimes tasted more like dessert than a dinner side dish. As far as my sweet tooth and I were concerned, creamy fruit salads were as good as it gets. Mom still makes one or two when we come to visit, and if my brothers and sister are present we inevitably go off on a nostalgic romp of our favorite childhood dishes. 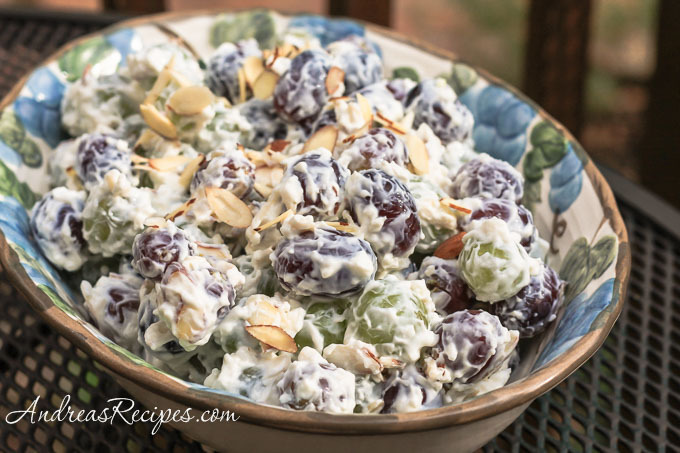 This week Mom served a classic grape salad during our visit, lightened up using less sugar. My version uses low-fat Greek yogurt instead of sour cream, and I even tried mixing in some dill which added bright flavor. 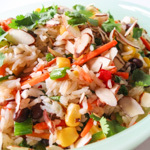 Some versions of this salad use both granulated and brown sugar, almost 3/4 cup total. Mom cut it back drastically, and we still enjoyed the sweetness without giving us a sweet toothache. I plan to continue playing with this recipe using stevia as a sugar substitute. Adapted from a member of the Lexington County Master Gardeners, Columbia, SC. Using the hand mixer, mix together the softened light cream cheese, low-fat Greek yogurt, and sugar. Fold in the grapes and the sliced almonds and sprinkle a few on top for garnish. Keep chilled until ready to serve. Use stevia in place of the sugar, though amounts will vary based on the type of stevia you use. For pure stevia powder, start with a pinch and add to taste. Adjust according to the type of stevia you choose, as some forms are more potent than others. Oh, great! Just in time for getting it right by picnic times! Thanks for sharing. 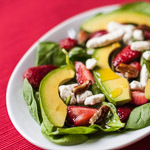 I had a friend a Texan-born who used to make this salad with cream and I loved it! I like your version though it is healthier to eat! Thanks! I’ve never had anything like this before, but I love the sound of it!! 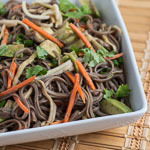 I love trying new things and am always on the hunt for unique and delicious recipes. So happy I stumbled upon your blog!